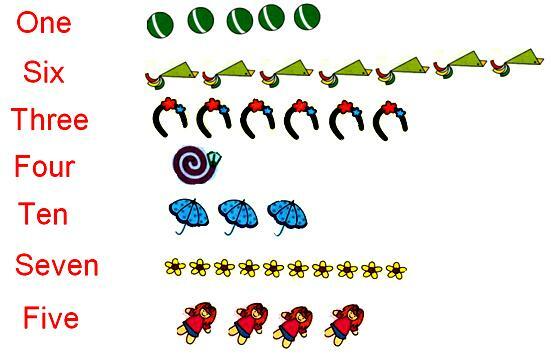 Count the numbers and match the objects. Let’s start reading the names of the numbers and then count the objects according to the number and match the objects by lines. Math Only Math is a fun math websites where learning becomes play and play becomes learning. Free kindergarten math printable worksheets are available for kid’s and even parents and teachers can encourage and suggest the child to practice the kid’s math sheets so that they get prepare for kindergarten math test. Kids math homework help is also available here, if any doubts you can contact us by mail.